A new study has been published questioning the validity of counting food calories as an indicator of health and obesity. 22 researchers from around the world agreed that the theory stating a "calorie is a calorie," no matter what the food source, is not a theory backed by science. An enduring dietary dogma has been the emphasis on calories, even to the extent of calorie counting one’s food intake and comparing the food’s caloric values as provided by tables of calorie measurements according to food types and amounts as an indicator of whether or not a food is healthy. This theory of food nutrition lacks scientific merit, similar to the saturated fat dogma/cholesterol dogma which has been contradicted by real science. 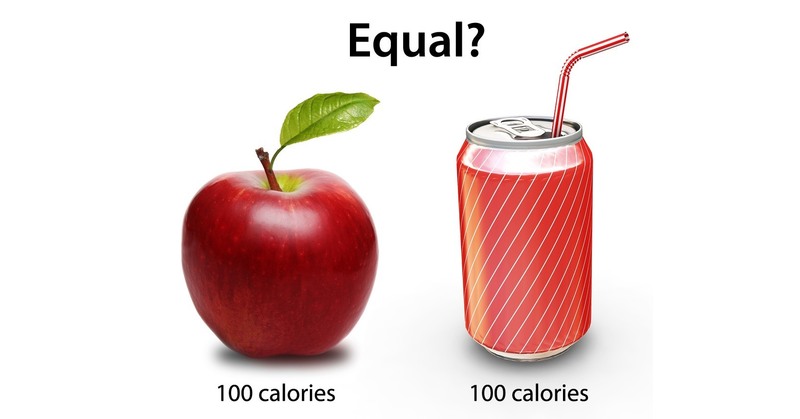 It benefits the soft drink industry, which would like everyone to believe that calories from their highly processed drinks are no different than calories from fruits and vegetables.